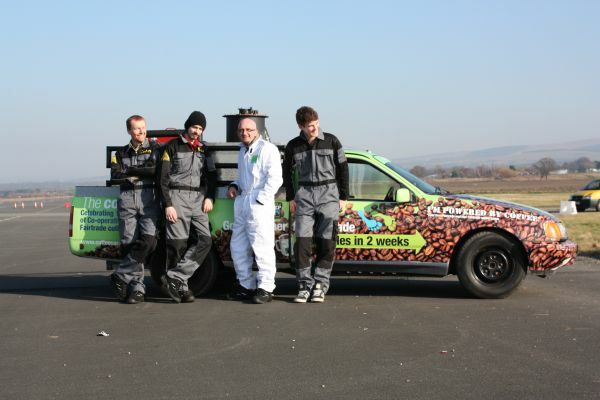 The Coffee Car Mark 1 was built in 4 days from scrap materials for the BBC show 'Bang Goes The Theory', and was driven from London to Manchester. Then they got the bug to build a better one, and built the Coffee Car Mark 2 specifically to build a faster car. On 14th of September 2011 the achieved 66.5 mph.